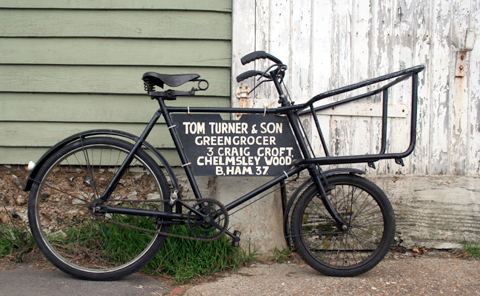 This tradesmens bike came from the Butler family, who owned the greengrocers shop featured on the sign. 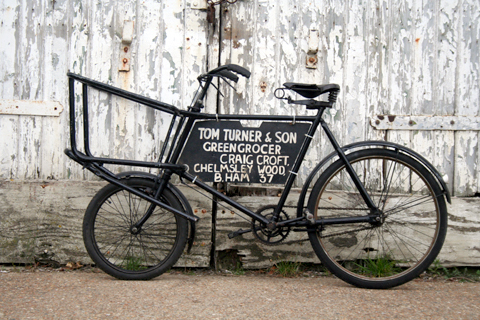 Mr. Butler bought the greengrocer’s shop from Tom Turner in 1959. 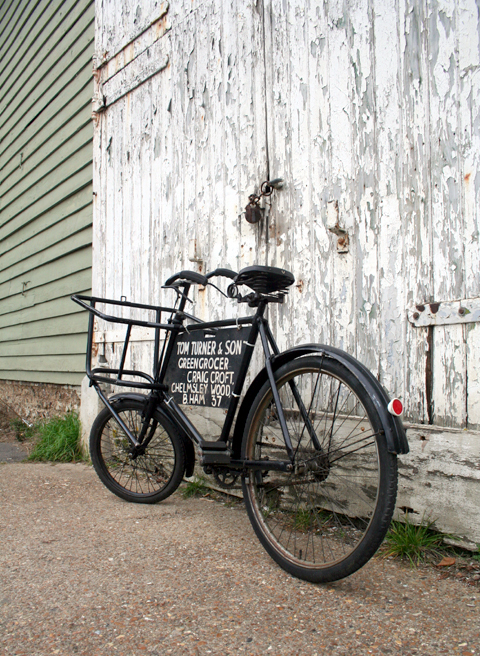 The bike wasn’t used so was put into storage. 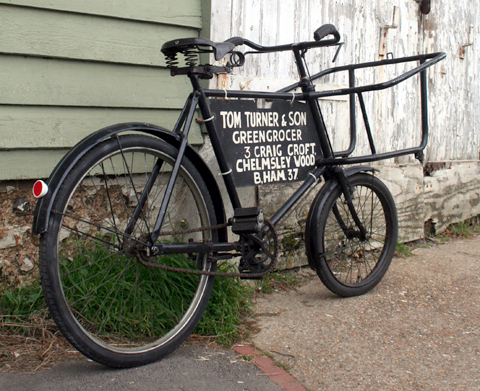 It has a 22″ frame and a 16″ front wheel. 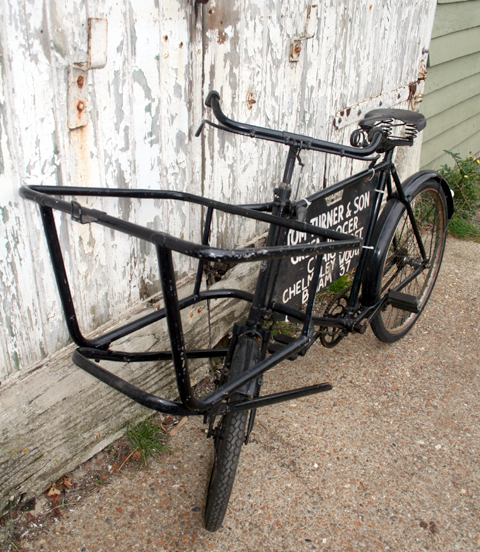 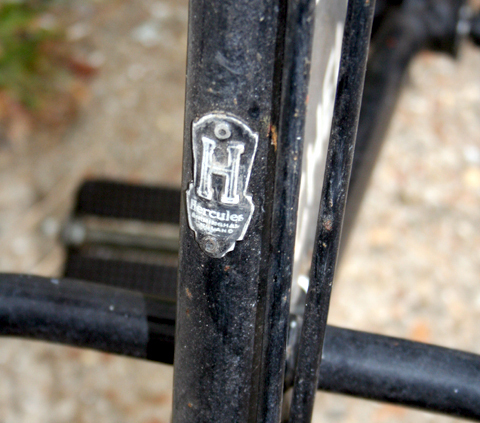 It’s in very good condition – most trade bikes had a working life so can often be quite battered by now.